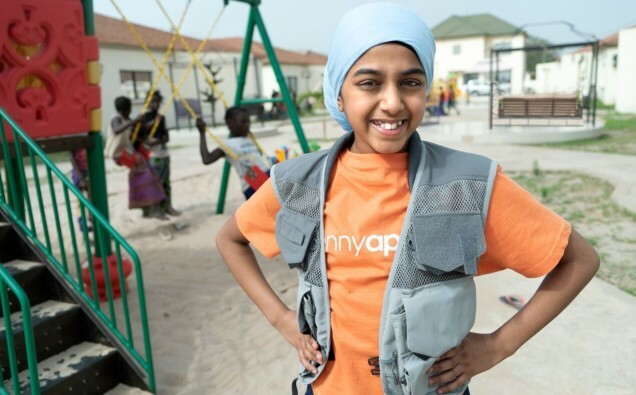 International humanitarian charity Penny Appeal paves the way for more young people’s views to be heard by appointing 11 year old Shakira Rahman as the UK’s first ever Child CEO onto a charity board. Shakira’s (aka Kid Boss, as Penny Appeal call her) involvement will involve her going to visit some of Penny Appeal’s projects, so that she can learn more about the charity itself. She aims give vital input on what she has observed through the eyes of a young child to the board. Shakira will be working on projects helping resolve issues which affect many children in the UK daily including homelessness, bullying and even the consequences and effects of seeing or hearing domestic violence in the family household. In a recent report published by the Charities Commission, 92% of Trustees in larger sized charities are between the ages of 55-64 and even a higher age bracket for smaller charities. 700,000 Trustees make up the 167,000 charities that are registered in the UK, and of that 92% are white. Shakira Rahman says: “I’m so excited to be Penny Appeal’s Kid Boss! The first thing I did as Child CEO was to meet the orphan children in The Gambia, where I spent time with other kids and even went to school with them to see what it was like.